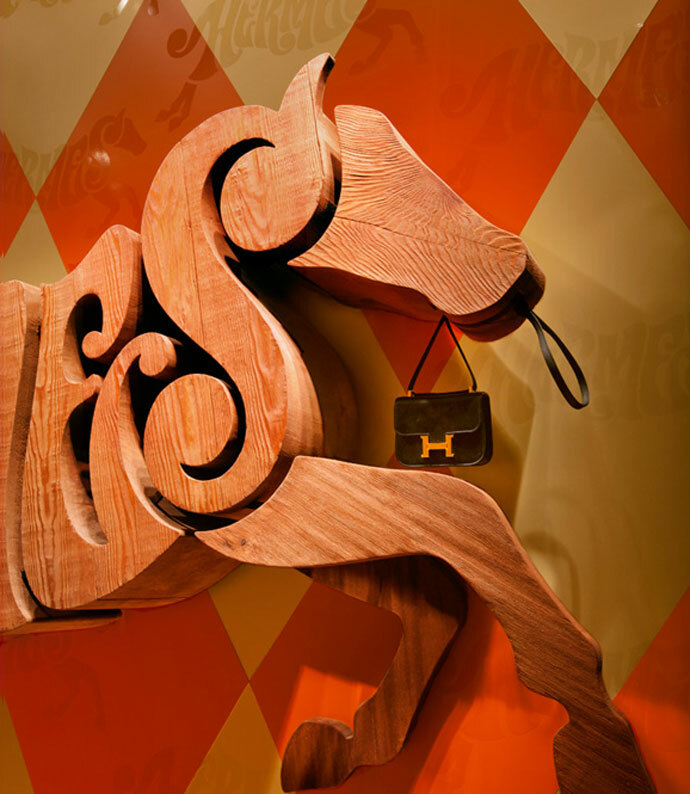 In one of my favorite creative collaborations for 2011, US retro font designers House Industries have joined forces with iconic, retail fashion brand Hermés to create this magical visual merchandising for their Maison Hermés Ginza, Tokyo store. Over the last couple of decades, the art of impactful visual merchandising has faded somewhat. There’s no arguing times are tough for retailers the world over. 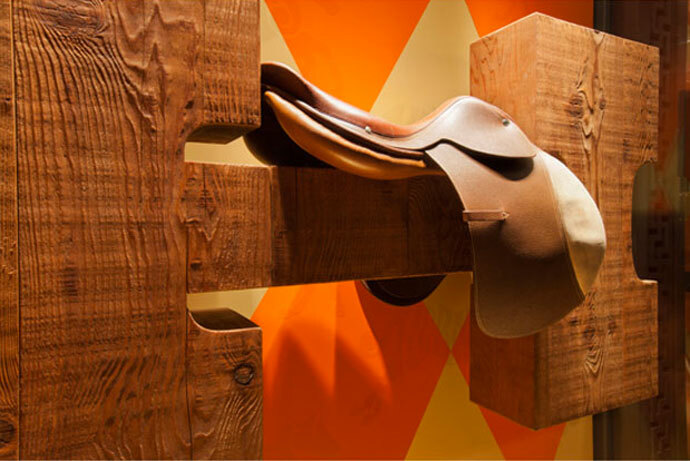 Margin squeeze for retailers has not only compromised marketing and brand building for many, but the effort and budgets invested in store window and in-store display design. 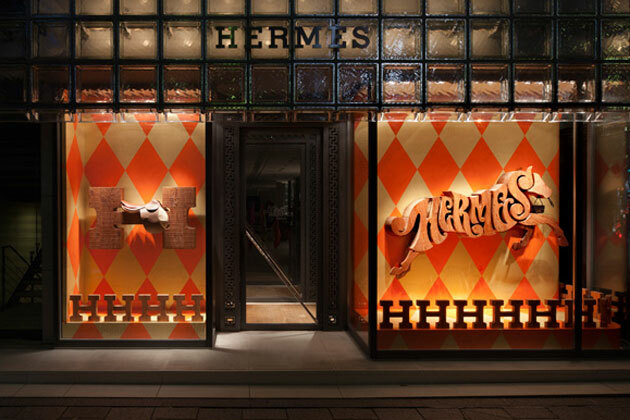 Then like a breath of fresh air we come across a genuinely remarkable visual merchandising installation and are reminded of the customer-pulling power a powerful street presence provides for retailers (a while back we featured another beautiful piece of visual merchandising for Hermés in Tokyo. If you like these Hermés windows, I think you’ll love these designed by Tokujin Yoshioka also). When any businesses focus turns to price and cost cutting, these activities almost inevitably create compromise to the sales process. Retail brands are no different, and getting the balance right between cost savings, promotions and offers, marketing and brand building is a tough challenge. So as we swing into 2012, I strongly suggest re-tuning your mind to the possibilities of great store window design and it’s ability to cut through the clutter and separate you from the pack. Photos courtesy of Satoshi Asakawa and Hermés Japon. Call for Entries: The International “Rising Star” Student Graphic Design Contest. Download Part Two of our Framework into Best Practice Annual Report Information Design.